I purchased the fabric at my local fabric store and cut the 2 1/2" strips myself to make the '800' quilt. I am not sure if I like the colours. It does add a pop of colour into my room and does coordinate with my house, or at least my style, however, the bed I made last week is tough competition. It may be because I put so much thought in to the last dog bed that it is hard to measure up. Here is a picture of my dog on his bed. He normally sleeps on the couch, but since he has had the bed I find him on it more than the couch! Please forgive his sad face. I assure you it is not his bed that is giving him the look. 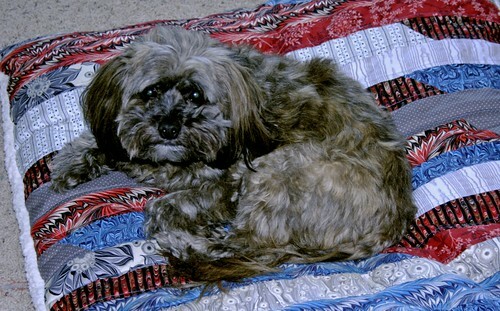 I believe his expression is a plea for help, "Please bring me to the groomer, I am too hot with all this fur!" 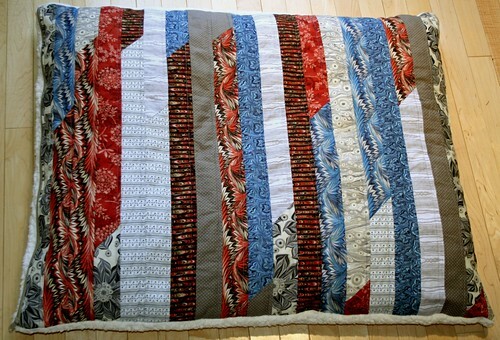 I have to add that this style of quilt is amazingly fast. 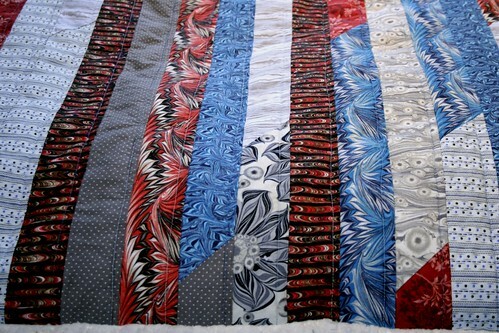 It is refreshing to make a quilt (no binding in this case) that looks good and is so easy. 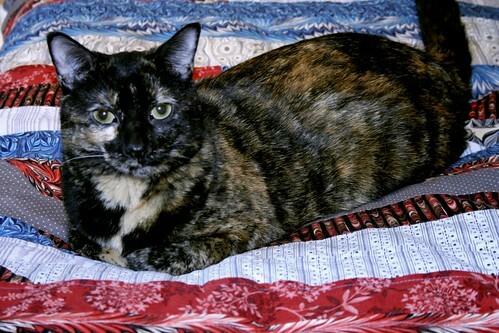 If you are looking for a simple quilt try it. Here is a tutorial for you.